CHECK OUT THE VIRTUAL TOUR!! Welcome to Southern Living at its finest. 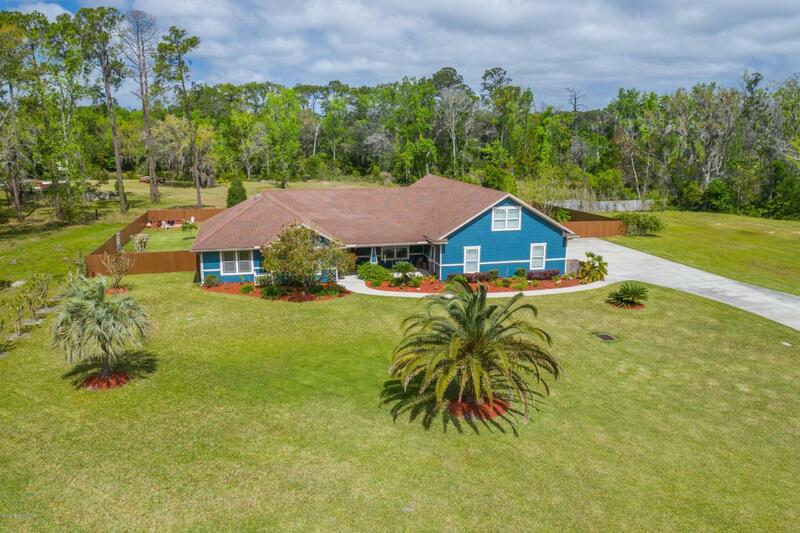 Come home to a 4000+sqft custom built home on over 5 acres of fenced land. No expense was spared on this home built in 2008 - appliances, floors, cabinets, tankless water heaters, back up generator, AC units and the list goes on... Massive living area downstairs with 4 bedrooms and 3 full, 1 half bathrooms. Upstairs has another full bath along with a media room and kids area/office. Which could be converted to another bedroom. 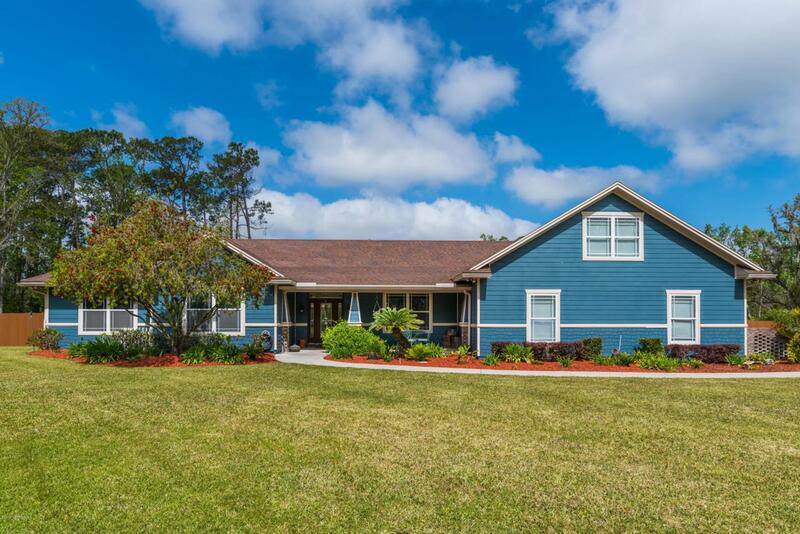 Enjoy the seclusion of country life while only being minutes away from JIA and shopping. 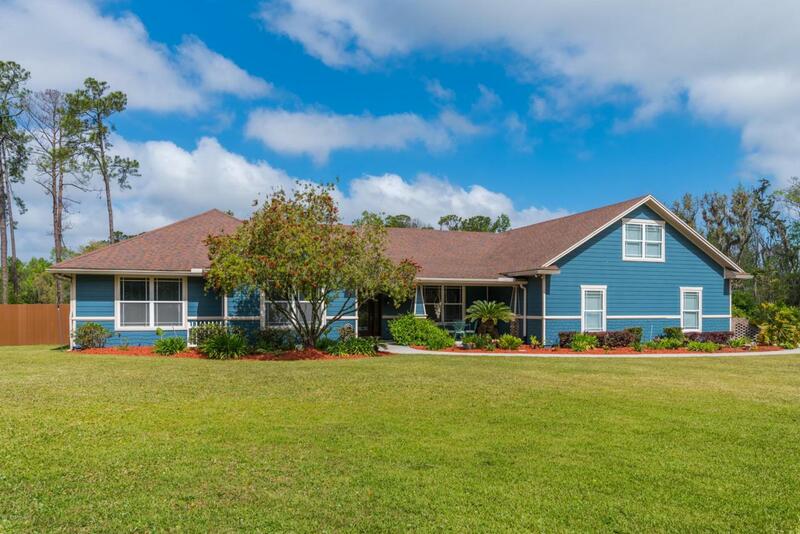 If you are relocating to Jacksonville - this location gives you a short commute to Amazon, Jax Port and downtown. 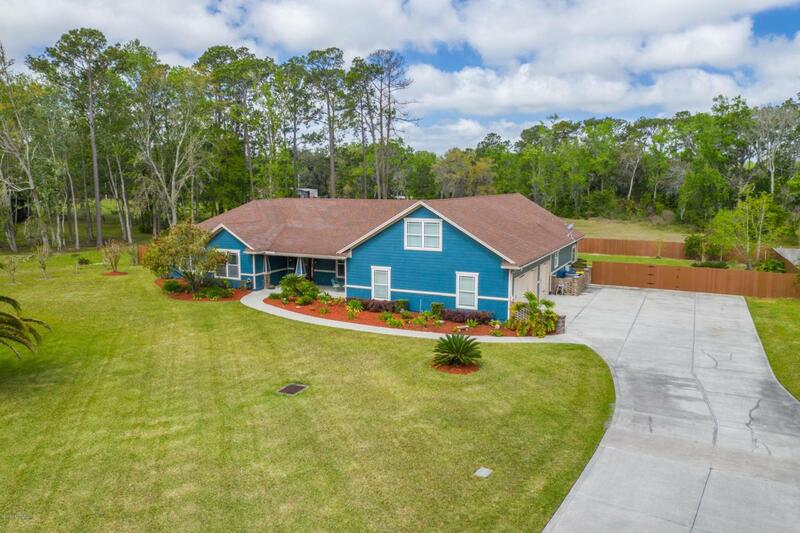 Listing courtesy of Crossview Realty.